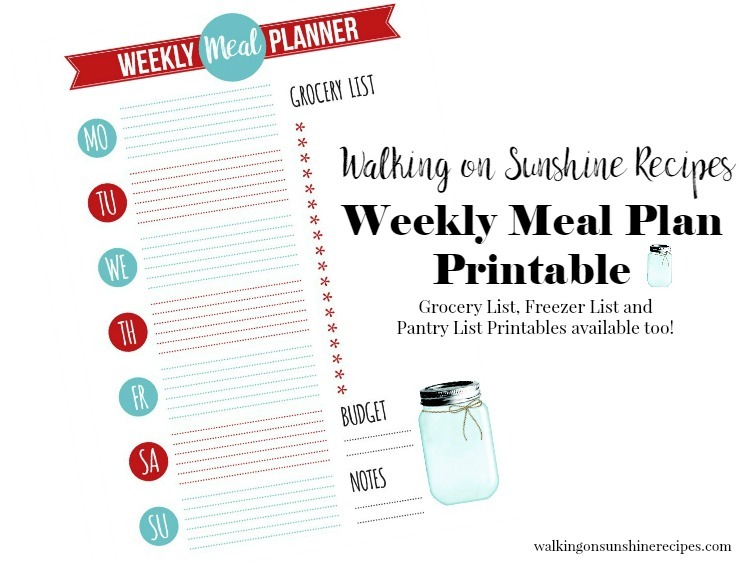 Ground Beef Recipes are featured as part of our Weekly Meal Plan with printable menus available for you to customize for your family’s dinner. Use these recipes to inspire your meal planning this week. 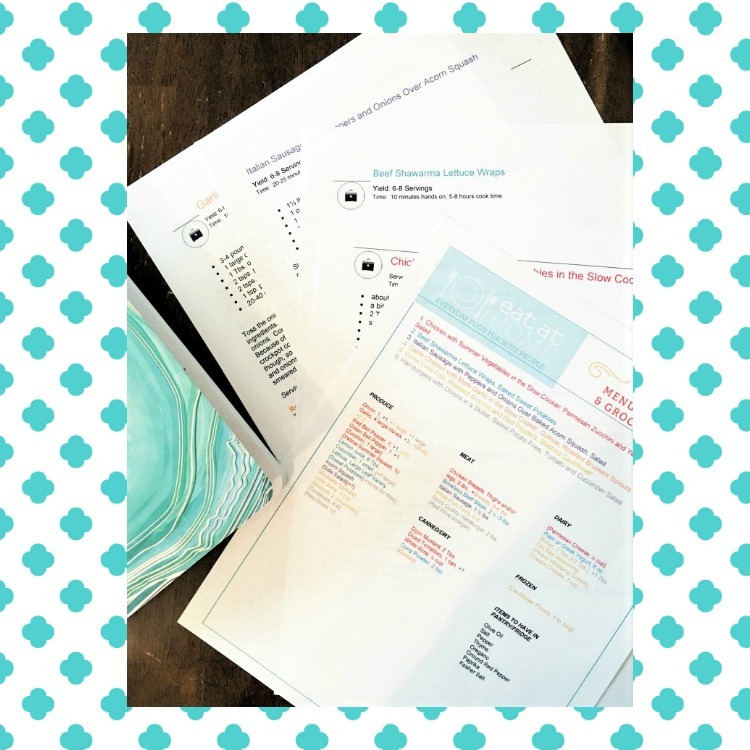 With the help of our Weekly Menu Plan I hope to ease the burden of what to prepare for dinner every night this week. 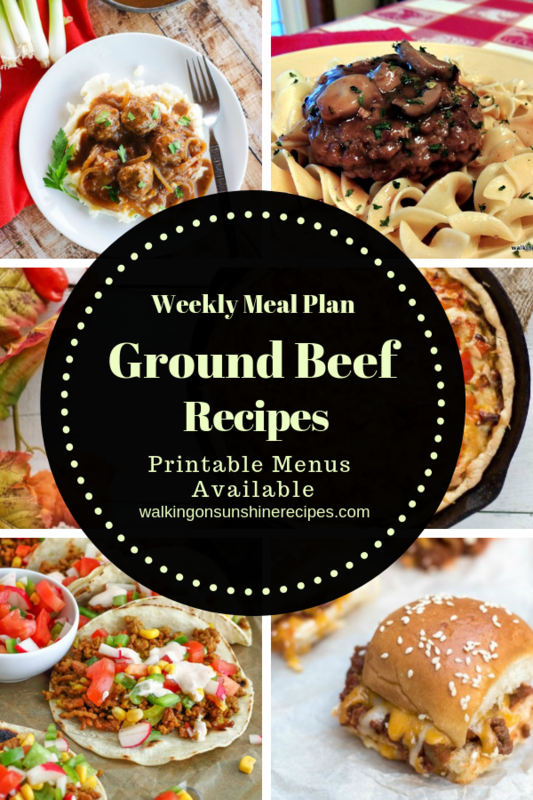 This week I am featuring 5 Delicious Ground Beef Recipes that will help you get dinner on the table pretty quick. 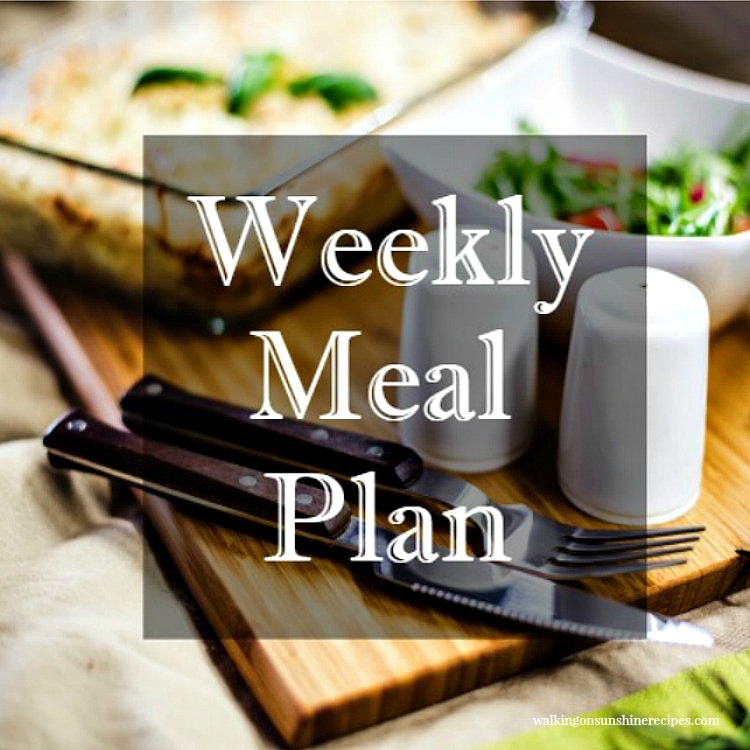 All you’ll need is a little planning and you’ll be able to prepare a delicious recipe every night this week for your family. Ground beef is a versatile protein to use for dinner and it can be pretty economical as well. I try to buy ground beef in the family pack size and then divide it up, wrap in aluminum foil and then into a freezer-safe bag. If you’re really stressed for time during the week, take some time over the weekend and brown all the ground beef and then freeze in freezer safe containers what you need for each recipe. I have done this and it really is so easy to get dinner ready when the meat is already browned. Just take a container out of the freezer in the morning to defrost in the refrigerator. Of course, that only works if the recipe calls for “browning” the ground beef. 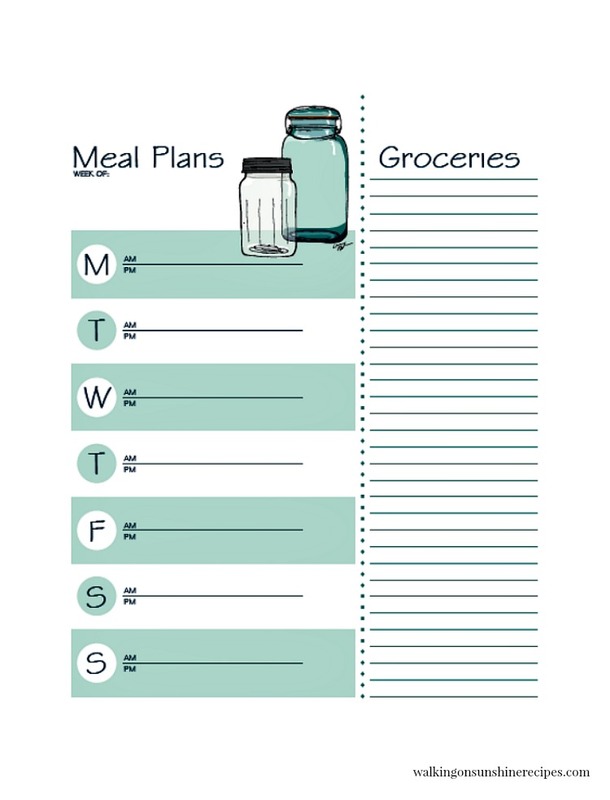 Every little step we can do ahead of time always helps in getting dinner on the table with our busy schedules. 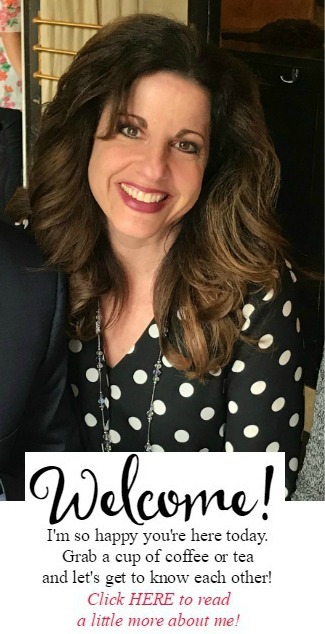 Find what works for you! 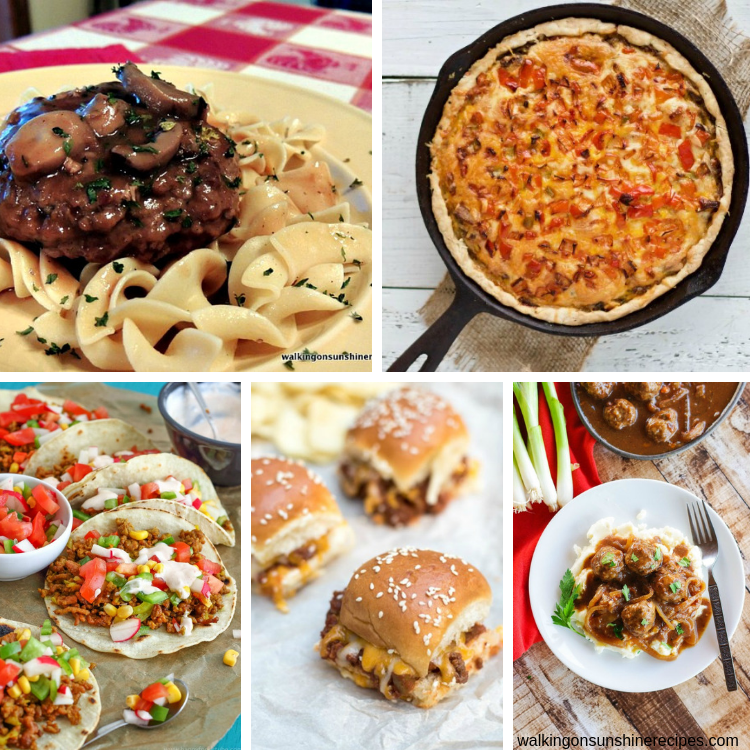 These 5 delicious ground beef recipes will help you get dinner on the table this week for your family. 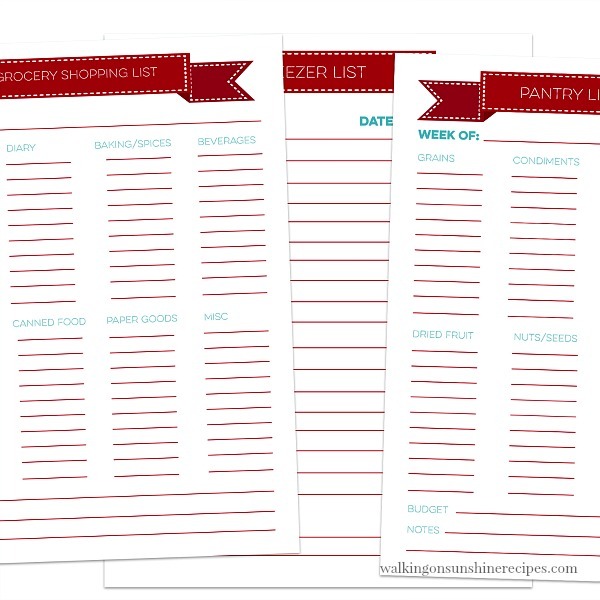 Make sure you print out the meal planner to make life even easier. An easy recipe for weeknight dinners. 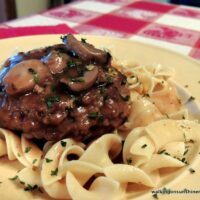 Hamburger patties in a homemade mushroom gravy served over buttered noodles or creamy mashed potatoes. Beef tacos with sweet corn salsa are a family favorite! Ground beef in wheat tortilla, topped with crispy salsa and finished off with simple yogurt dressing! Toasted buns filled with a super flavorful Sloppy Joe mixture and melted cheese. Salisbury steak meatballs are smothered in a rich onion gravy and are the definition of comfort food at its finest. 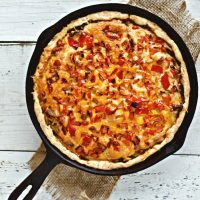 One dish skillet pan recipe! Hamburgers with Mushroom Gravy – this is a recipe I’ve been making for years. 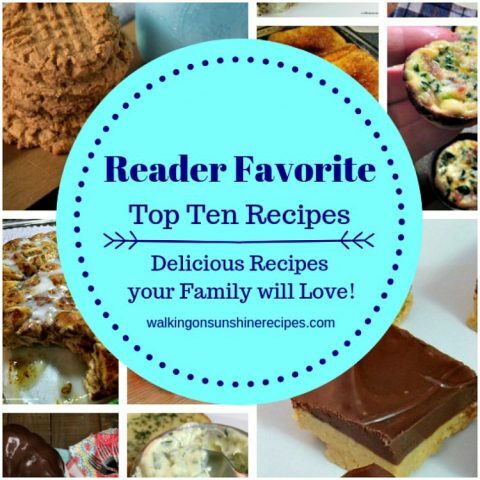 My family loves it and I know yours will too! 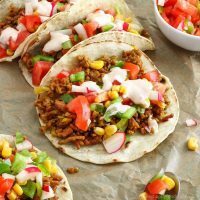 Beef Tacos with Sweet Corn Salsa from Happy Foods Tube – Taco Tuesday at it’s best! I’m loving the idea of sweet corn salsa. Yummy! 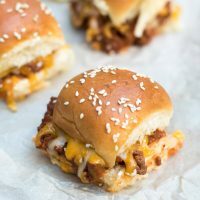 Sloppy Joe Sliders from From Valerie’s Kitchen – I make these! It’s a great way to use up leftovers from Sloppy Joes. I sometimes find myself making extra Sloppy Joes so we can have sliders for another meal. 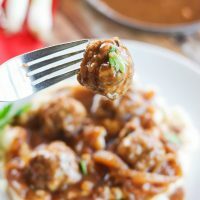 Salisbury Steak Meatballs with French Onion Gravy from Home and Plate – this is a recipe I am going to try soon. I know my hubby and son would love the flavors. Cheeseburger Hamburger Pie from Homemade Food Junkie – oh my word! 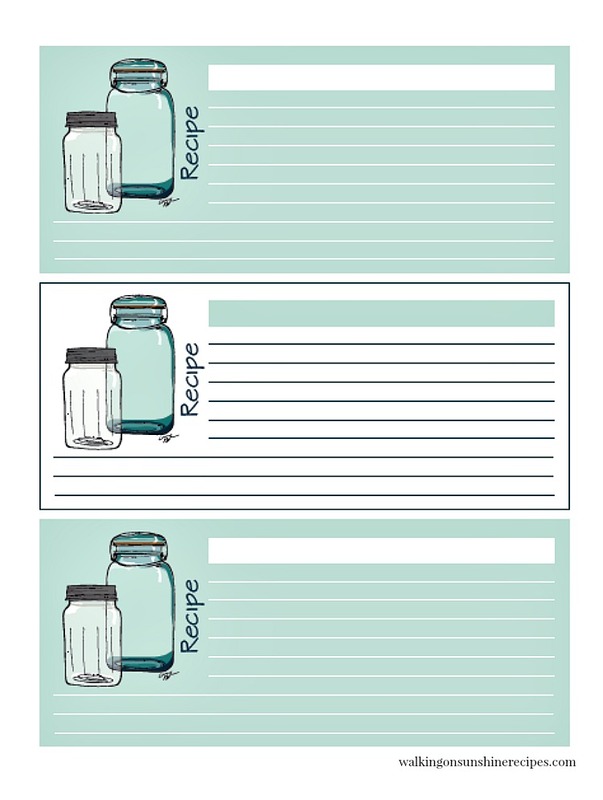 What a fun way to end the week with this recipe.